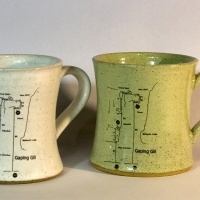 Caving Pottery is part of Handknitted Pottery and sells handmade ceramics with a caving theme. 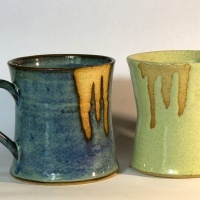 If you're looking for the fancy non-caving pottery please click here. 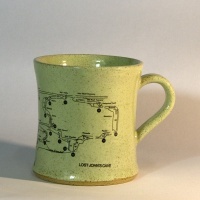 My specialist pottery is decorated with various designs including rigging topos, caving equipment and cartoons. Contact details are here if you can't find what you need.